In this presentation, creator of the Body Kindness philosophy, book, and podcast, will introduce the science behind the weight inclusive (non-diet) approach and the art of using this approach to achieve positive health and well-being outcomes for people with weight concerns. You'll learn how to help clients reframe goals to center around values-driven actions they can take as opposed to externally-driven rules to follow. You'll study how psychology influences food choices and learn ways to help clients establish a positive mindset to regulate emotions and make rational choices through mindfulness-based skills of self-awareness, acceptance, and compassion. Through the use of case studies, you will explore how these counseling skills can be applied in conjunction with medical nutrition therapy for diabetes, cardiovascular disease, and PCOS. By the end of this webinar, you will be more confident in helping clients change habits with a weight inclusive counseling approach and you'll have practical tips for "selling" the value of this approach to clients and health care team members. The live version of this webinar was presented by Rebecca Scritchfield, MA, RDN, EP-C, on Wednesday, March 7, 2019, from 2-3 pm ET. This recorded version is approved for one hour of continuing education credit. RDs should list code 175 for this activity type. Contrast the weight normative and weight inclusive approaches to behavior change. Describe the research evidence that demonstrates lack of efficacy of diets to improve physical or mental health. Demonstrate goal reframing to values-centered, action-oriented statements. Examine the roles of optimism, self-compassion, acceptance, and commitment in the process of forming new habits. Analyze case studies to identify barriers and compose solutions for difficult counseling scenarios. Rebecca Scritchfield, MA, RDN, EP-C, is an award-winning registered dietitian (Academy of Nutrition and Dietetics "Young Dietitian of the Year," Washingtonian, Top Nutritionist, Today's Dietitian TD10) and certified exercise physiologist based in Washington, D.C. She specializes in helping people create a better life through the practice of Body Kindness® - a weight inclusive philosophy, book, and podcast that centers well-being enhancement and personally meaningful goals for people of all sizes and health concerns. In 2018, Body Kindness® was studied by researchers at UNC Charlotte to examine "Depressive Symptoms, Negative Body Image, and Mindful Self-Care in Pregnancy and Mothers of Young children". Rebecca reaches over 2 millions people a month through her work in nutrition counseling, professional speaking, and media communications. She mentors helping professionals at any stage of career in practicing the Body Kindness® approach. Her website is www.bodykindness.com. This complimentary 1-credit continuing education webinar is brought to you with support from Love One Today®. Please note that Love One Today® provided financial support only and did not have input into the information provided in this course. 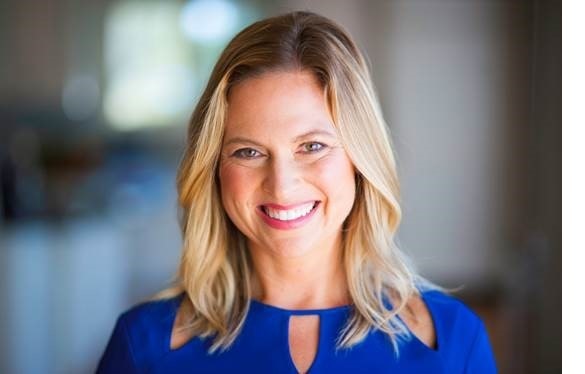 Rebecca Scritchfield, MA, RDN, EP-C, has the following relevant disclosures to report: she is a co-investigator at the MIND-BATCH lab at UNC Charlotte and is the creator of the Body Kindness® philosophy, book, and podcast. She has certified that no conflict of interest exists for this program. View our disclosure policy.